This is the kind of stuff that gives me hope for the future. Our future. This is from an older post but nothing has changed. These people vote and they get all their information via television. Guess which channel? "Every year, at least two million adults considered to be functionally illiterate swell the ranks of Americans unable to read. If this critical problem isn’t addressed soon, society will most certainly pay the price. 42 million American adults can’t read at all; 50 million are unable to read at a higher level that is expected of a fourth or fifth grader. The number of adults that are classified as functionally illiterate increases by about 2.25 million each year. 20 percent of high school seniors can be classified as being functionally illiterate at the time they graduate. 70 percent of prisoners in state and federal systems can be classified as illiterate. 43 percent of those whose literacy skills are lowest live in poverty. Source: National Institute for Literacy"
What fun. I picked up a check for $48 yesterday. Payment in full for the $60 abstract painting I had in a local show. The curator made $12 off of it. It wasn’t even supposed to be in the show as I didn’t like it and only included it when my wife said, “aren’t you taking that one?” So I did. I don’t even have a photo of it and I’m hoping to forget that I ever painted it. But…now I’m thinking about the fact that someone paid $60 for it. My first painting sold for $20 and it felt more like a donation. Small canvas and small subject. But $60 means something serious in these times. Should I paint some more that are just as mundane as that was? If I wasn’t just a retiree enjoying himself, then I would probably do that. That would become my new favorite style. For the $bucks$. But a style in art is ephemeral unless you get lucky. Speaking of luck. Bad luck. The big time art world is being rocked by a judge’s decision regarding a ‘school’ of art. 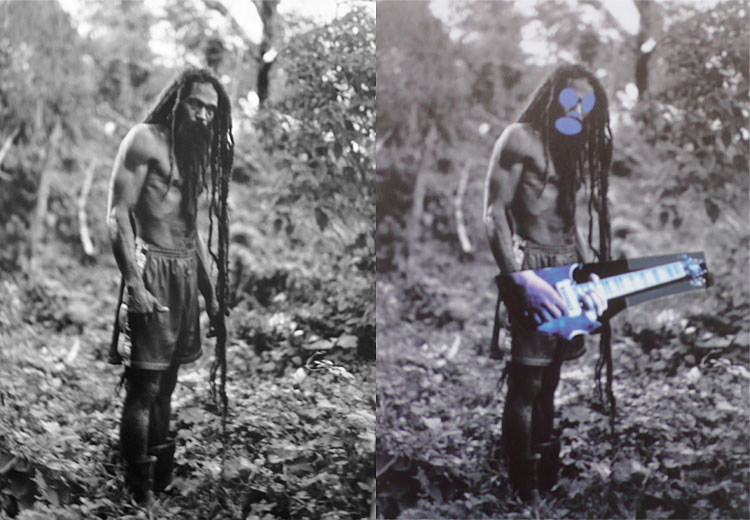 It’s called ‘Appropriation Art’. Really. As I understand it, one ‘artist’ would take copied photographs from another artist’s book and then add things to the photos such as painting guitars and glasses on the subjects in the photos. And then sell the results for millions. Yes, millions. I’ll never understand the major art world because these were really ugly paintings. Sorry, photos. The problem lies in the fact that the judge interpreted and made her decision based on what she thought were the motives of the artist. Bad art or not, no one can know what motivates an artist. (Certainly not a judge with a S and J in their MBTI. Artists are almost always N and P with some F thrown in.) Then to make matters worse, she says that the gallery had an obligation to determine the motives of the artist. In the meantime the pictures in question are not to be shown in any manner…do the new owners (yes, someone bought them) cover them with velvet and only lift the velvet late at night when they are certain that no one is around to see the transgression? What is certain is the fact that these pictures, because of the notoriety, are now worth even more…if that is even possible. Can I include a photo here? One stolen from the internet? Sure, why not? Millions have already seen them. I was reading some of the comments on the case and it was brought out that almost all artists are ‘guilty’ of appropriation at some time or another. We take ideas and styles from other artists all of the time. And now that I’m working on some collage pieces…I’m definitely guilty! I have a large collection of digital images of art. Whenever I see a piece that interests me, I right click on it and save it to a folder of other images. I have some artist friends that are afraid to display their work on-line because someone might steal it. A thief like me, I suppose. But what would I do with it once I had stolen it? I use my collection as a screen saver…guilty again. Please note; I'm deleting the photo above from my hard drive. That's simply ugly. It’s just a few more days now and then I get my trial Spinal Cord Stimulator and I’m eager! I’m already imagining the luxury of being able to dial out the pain whenever it strikes. And once it’s surgically implanted and the doctors dismiss me, I will be free to do…what? It’s been so long since I’ve done so many things I don’t know where to start. Driving will be a big thing for me. Long walks will be another. I should be able to paint again. Currently, I paint in spurts. No, not spurts of paint but spurts of energy. The drugs make me manic one minute and then I’m off for a nap or off to do something else. I can’t concentrate long enough to do more than five minutes at a time. On Tuesday mornings, when I paint with our group, I do pointillism. Not because I like it, but because it can be mechanical and I can appear to be normal to my friends. I’ve been working on the same piece for a month now and I really don’t care if I ever finish it. But, once I’m off the drugs, I may change my mind and find it to be fascinating once again. Aargh! My Trigger Finger problem is most irritating this morning! It's also very common and I hate to have 'common' problems. The more exotic the better! It's just a little after 5 and I've been up since 3. All very much normal for me. Sigh. And now it's time for another cup of coffee. Okay, coffee is in my hand…in a cup. And I've made the painful walk between here and there to get my cup. It's only on the return trip from there that I feel the pain. It must be the added weight of the coffee. And the cup. And speaking of pain, it's less than a week now until I receive my trial Spinal Cord Stimulator. Yippee! And then, after I receive the final install of the SCS, maybe, just maybe, I can think of reducing the amount of drugs I'm taking for pain. I have a love/hate relationship with Fentanyl, Norco and Neurontin. Yet, I can't imagine life without them. I have to. They aren't the first drugs I've had to divorce myself from so I'm quite optimistic about it. Though…at my age I certainly don't need a painful divorce. And now with a case of 'Trigger Finger' to contend with, I wonder when will it (the pain) all be over? It's been three years now and it's starting to feel 'normal'. I don't need that! Our group of painters has put together another show at the sports club and this time I'm absent from the show. I helped to hang it yesterday and was truly relieved to have nothing there for others to judge. Yes, I sold a painting at the last show but it was one that I wasn't happy about and never should have shown it. I am not ready for another experience like that. Until Sunday, I was all set, or had talked myself into believing that I was…ready to hang two pieces in this show. Then I saw through the haze of drugs and decided to gesso right over them. Done. These pain killers might give you inspiration, or something that passes for inspiration but they don't give you talent. I've begun some new pieces but I'm going at it quite slowly and not letting the inspiration get ahead of what I'm able to do. I'm still looking for some way to express myself adequately. That's why I'm taking a Papier-mâché class next month. As I said - still looking! There is in every artist's studio a scrap heap of discarded works in which the artist's discipline prevailed against his imagination. Robert Brault. To sum up, I work without a theory. I am conscious above all of the forces involved, and find myself driven forward by an idea that I can really only grasp bit by bit as it grows with the picture. Henri Matisse. I paint in order not to cry. Paul Klee. But the Devil whoops, as he whooped of old: "It's clever, but is it Art?" Rudyard Kipling. No great art has ever been made without the artist having known danger. Rainer Maria Rilke. Whoever wishes to devote himself to painting should begin by cutting out his own tongue. Henri Matisse. Not only do I not know what's going on, I wouldn't know what to do about it if I did. George Carlin. What garlic is to salad, insanity is to art. Augustus Saint-Gaudens. An artist's career always begins tomorrow. James McNeill Whistler. One must beware of a formula good for everything, that will serve to interpret the other arts as well as reality, and that instead of creating will only produce a style, or rather a stylization. George Braque. If I knew what I was doing, I'd be doing it right now. Keith Urban. Truth and reality in art do not arise until you no longer understand what you are doing and are capable of, but nevertheless sense a power that grows in proportion to your resistance. Henri Matisse. Of course it won't work. Federal funds make up such a small amount of the budget and I'm certain that the citizens of Butte County will make up the difference. What this whole symbolic tempest shows us is that our congress is busy chasing the mythical demons that bother them and not paying attention to the people's business. They hate NPR because it consistently reports the news in an unbiased manner. More people trust NPR than any other news source and that just cannot be tolerated by the Republican Brownshirts. This bill will go nowhere this year or the next. It's just foot stamping by the Brownshirts...but in the years to come? Would you care to read some non-sensational news about the nuclear reactors in Japan? The ones that have been damaged? 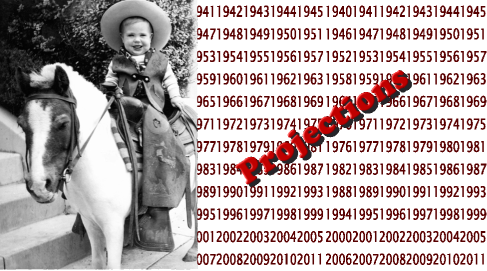 This is written/edited by MIT and I think they can be trusted to give us accurate information. It's not as exciting as the stuff given to us by any one of the many talking heads on television but I think it's our duty to try and find the truth rather than accept the headlines and this is as close to the truth as I will get...I love the internet! As I was wandering this morning, I came across this chart. 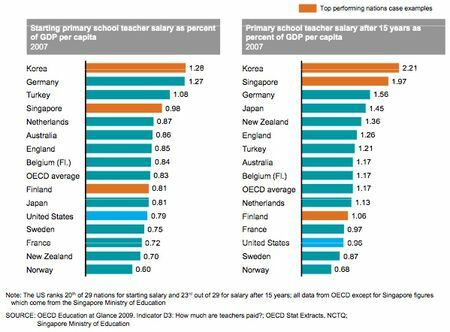 You may have to magnify the image to see detail but I can tell you one of the things you would see...that after 15 years of working as a teacher, your salary would rank 23rd out of 29 nations. 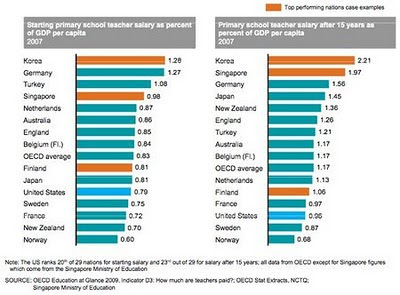 I've been saying this for years; teachers are underpaid! You get exactly what you pay for! It's so basic...why is it so hard to understand? I must have been busy...or asleep yesterday because I missed this post until this morning. At first I thought it must be a joke. I know that Republicans are mean spirited, but there are limits and I thought they would respect them. Obviously not. "".....the policing tradition is rooted in 19th-century Peelian principles: the police are not supposed to impose order on an unwilling populace, but to operate with the consent of the community. The display and use of force is meant to be minimal." "LESS than 5% of police officers in England and Wales carry a gun on duty. Infinitely fewer fire one, and fatal shootings by police are vanishingly rare (there were two in 2009-10)"
"To a degree that many Americans find incredible, this fairly violent country is policed by men and women who might, on a difficult day, pack a baton and a can of tear gas." Here's a model of policing that works...so why don't we try it? Our own methods haven't worked in years. Actually, they never have. Scroll down through the photos. All very startling. Do I 'know' all of these people? I have to admit that I have only seen about 70% of them.